To welcome Visitors, impress clients, brighten your workspace, and increase productivity and creativity for your staff; (YES - it's a Proven Fact >>Flowers, Plants and Workplace Productivity Study. An arrangement of Fresh, Lasting Flowers for your Office can do all of this and more! We offer this floral service to West Auckland businesses - due to our Henderson location. This allows us to offer good service with delivery on a Monday morning and easy for us to deliver those emergency flowers needed for a sudden remembered occasion. We offer a free on-site consultation to allow us to co-ordinate the flowers to your office decor. Your first weeks corporate flower arrangement is Free to allow you to Trial our award-winning service. Please call us on 09 838 9058 to discuss your corporate flower needs in more detail. 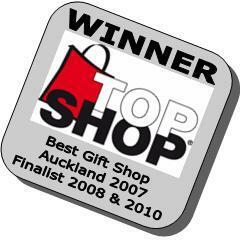 and many more well known Auckland companies who trust us with all their floral needs. We would be delighted to be of service to you and represent your company with quality flowers and gifts delivered in Auckland. Please do email us or Call and Speak direct to our florists on 09 838 9058.